During summer 2015, while we were focused on the development of our scoring technologies (ELISE), we had the idea of creating our own social media wall to feature our startup during events. We wanted this tool to be beautiful, intelligent and powerful. 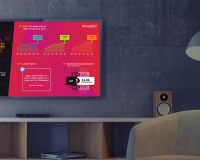 As we didn’t find any product that fitted our needs , we built an MVP that could score any collected social media post from Twitter and Instagram, and that would broadcast one by one the most engaging content on big screen. Midem in Cannes (France) was the first event where we used SocialWall.me ‘s beta version. And, we must say, it was quite a success. We happened to be more mentioned than #Spotify and #Deezer during the whole period of exhibition! Two weeks later, Google’s marketing team contacted us to use our solution at SolveForX conference and became our first customer. 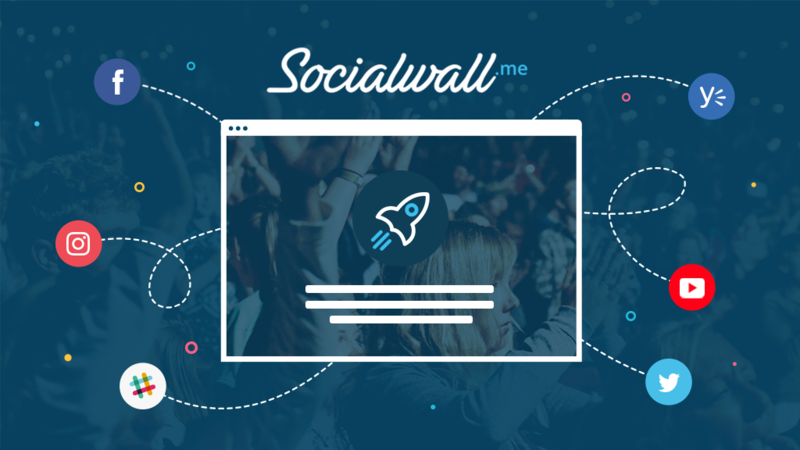 Two years later , SocialWall.me is now our main project and we are proud to provide many great companies such as Adidas, SNCF, L’Oréal, AccorHotels, LVMH, Heineken, Nintendo, BNP Paribas… and much more! 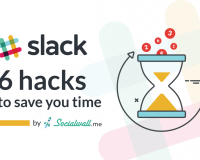 As an advanced Social Wall, most of our customers are big agencies and brands who want to collect all their mentions from Twitter, Instagram, Facebook, Slack… in one single place, filter them and feature them on screens. They use their Social Wall during events, conferences, exhibitions, but also inside their offices and stores. The impact on boosting digital interactions is way more important than what we would have ever thought. For example, The Next Web used our dataviz templates and reached more than 300M people during their annual conference in Amsterdam! We are really happy to see the drastic increase of interest for social media walls and have the media talking about us (Techcrunch, Forbes…). Thanks to the press coverage we’ve had over the past few months, you were almost a million to visit our website in 2017. Because we wanted SocialWall.me to be accessible to everyone and fit every budget, we created a brand new offer that we are proud to unveil : the Starter plan. 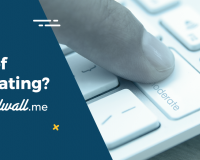 The starter offer is perfect for individuals and small businesses that wish to enhance the digital interactions of their audience in public spaces. Within a few minutes, you can now sign up for free and create your first wall. Whether you’re looking to display a social wall on a screen during an event, broadcast your collaborator’s posts within your office or even embed your social media posts onto your website, our wide choice of predesigned layouts will answer any of your needs. Plus, we wanted all of our templates to be as user-friendly as possible. We know that Social Listening the impact of your event can seem scary. 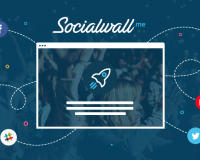 Well, with SocialWall.me, it’s become a piece of cake. We’ll provide you with a complete custom-designed dashboard that displays your social media campaign statistics : top influencers, number of posts, favorite topics, etc. If Business users can enjoy advanced moderation features, Starter accounts will be able to moderate manually the broadcasted social media posts. No more unwanted surprises, you have control over everything. Banned posts are put in a recycle bin so that you can retrieve them later if you need to. And you’ll find even more features by signing up. Create your account now and enjoy 2 free hours to test the interface. Also, here’s a tip for you, earn free hours by inviting your friends with the referral link! We hope you’ll enjoy using SocialWall.me as much as we enjoyed creating it. And please, don’t hesitate to give us any feedback!